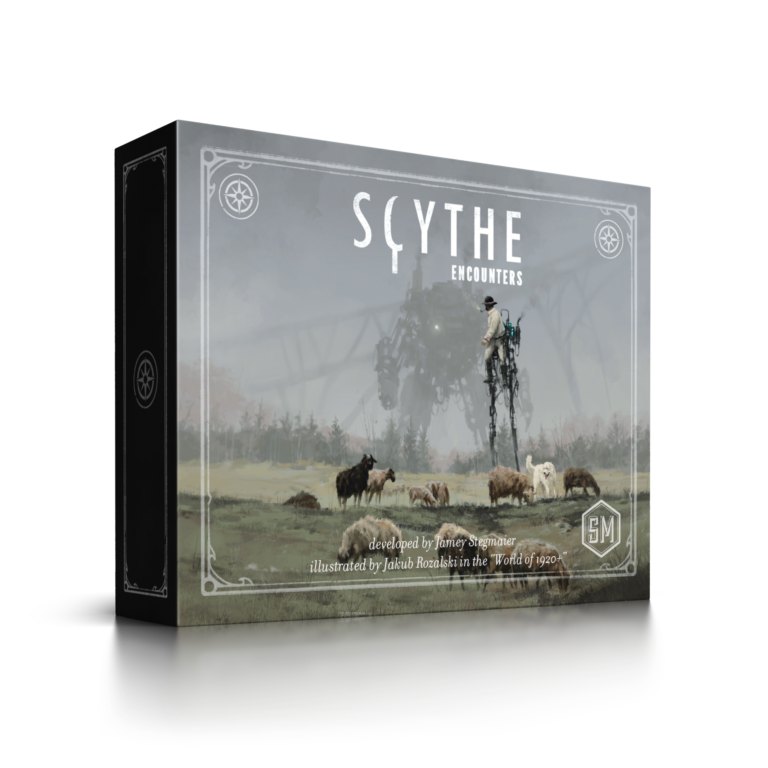 Scythe Encounters is a boxed set of 32 new promo encounter cards (43-74) designed by fans of Scythe and developed into the final cards by Jamey Stegmaier. It's recommend that you play with this deck of cards by itself a few times to experience the new options before shuffling them into the original encounter deck. Luke Sheldon is the designer of card 48. Tim Cherna is the designer of card 62. Some cards include �secret� options in parentheses that should not be read out loud. If you choose that option, keep the card face-down until you use its ability by sharing it with all players. If Polania choose the secret option as 1 of their 2 choices, they must only read the non-secret option out loud until they use the secret ability. When playing against the Automa, if an encounter card has the �no Automa� icon, you may choose to discard it and redraw, as one or more of the options may not apply. This icon appears on 11 cards.